Paradise Bar and Grill. 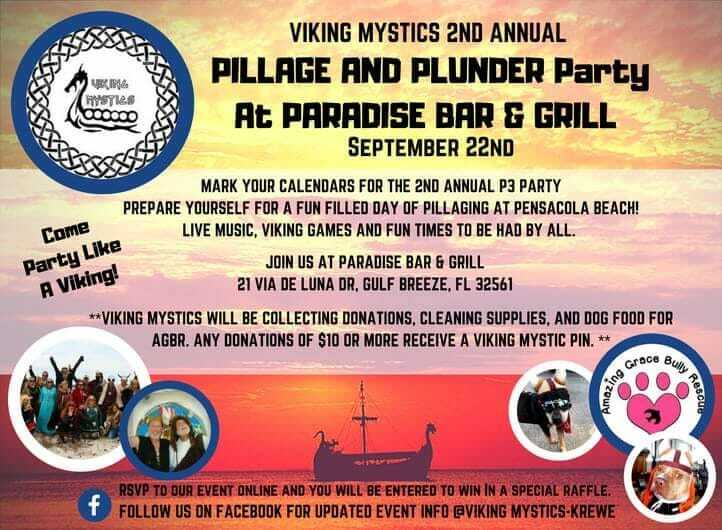 Live Music, Viking Games and Fun Times to be had by all. The Krewe will be collecting donatins, cleaning supplies and dog food for AGBR. 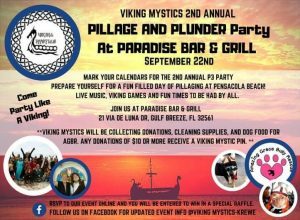 Any donations of $10 or more receive a Viking Mystic Pin!